The Air Footscape Woven is a weird looking trainer, there’s no denying it, but it does have a unique appeal that a certain few can appreciate. Since HTM debuted the Footscape Woven in 2005, a fusion of the Air Woven and Air Footscape; the model has gained a cult following and a lot of the older releases such as these are now extremely sought after. When Jesse Levya from Nike was working on the Clerks Pack he approached Andrew Bunney, a Design and Creative consultant for Gimme 5, and asked if he’d like to be a part of it. In the end, they didn’t release as a part of the Clerks Pack but did so under their own entity. 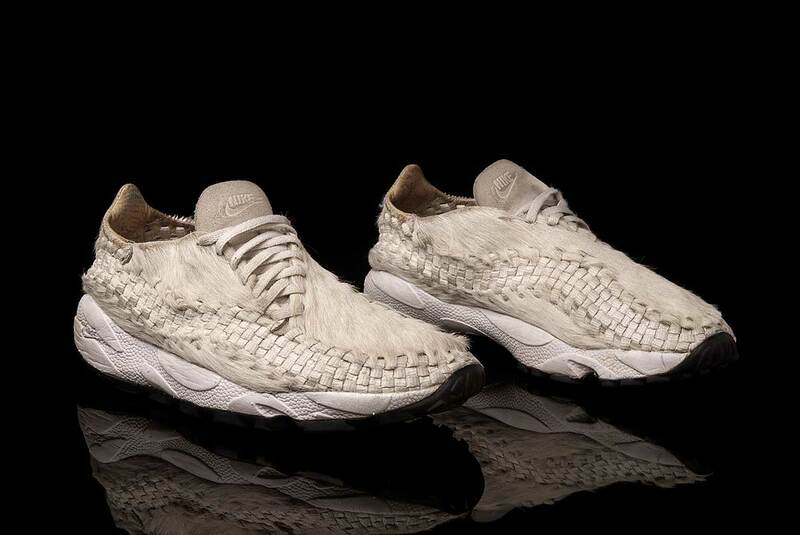 Andrew based his interpretation of the Footscape Woven on animals; applying natural coloured Pony hair to the uppers and raw hide for the lining and insoles. Creating the grey pair shown here as well as a Beechtree Brown edition, both of which could be purchased alongside a furry Head Porter phone pouch, if that’s your kind of thing. Three years later Nike revisited the furry Footscape Woven as a part of the Livestrong Greatest Hits Pack, keeping the DNA of the original design while applying the now infamous Livestrong colours to the upper.